If you’ve read this blog (or my TechnologyIQ) for any time, you already know that I am a huge fan of education as a hobby, learning as fun. I can enjoy reading some interesting scientific story as I can consuming the latest hit television show. I enjoy learning about new things almost more than anything else. 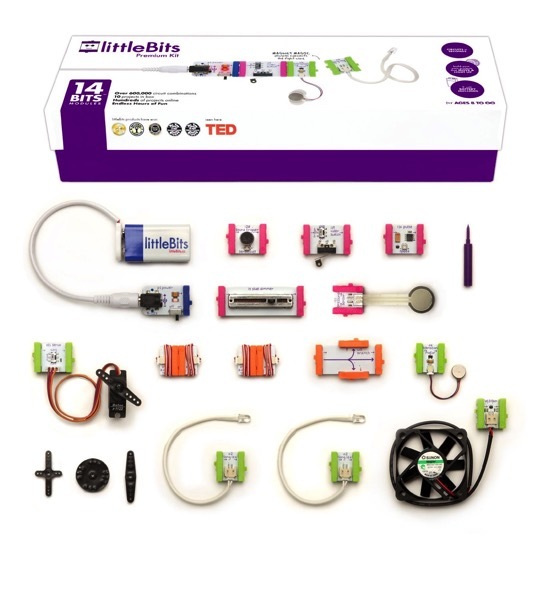 littleBits is a great kit that helps kids launch their electronics and robotics education in an easy and fun manner. Based on the ubiquitous Arduino, the littleBits kits remove some of the complexity of working with the raw Arduino and electronic components. The boards and components snap together magnetically without the need for wires or soldering. Each kit comes with an instruction guide with several prepared projects, but the kits lend themselves to further exploration once the basic concepts are mastered. If you want to introduce your children (or your big kid (wink, wink, nudge, nudge) ) to the world of electronics and robotics then littleBits is a great place to start.